What makes SmartLic different from other low-moisture big blocks? SmartLic supplements are manufactured with a new state-of-the-art patented process that makes a more consistent and more uniformly mixed free-choice product. SmartLic supplements are more resistant to inclement weather and are more heavily fortified to provide essential nutrients to support reproduction and enhance forage utilization. Most importantly, SmartLic blocks are widely known for their ability to minimize supplemental feed costs. What kind of intake should I expect when I feed SmartLic blocks to my cows? Forage quality and availability will drive daily consumption. The typical product intake is 3/4 pound per head per day. Product consumption will most likely increase when lower quality forages are fed and decrease when higher quality forages are fed. Low cattle intakes can be brought to normal by adding more blocks to decrease animal competition and increasing the available animal licking surface area. Always follow recommended feeding directions. How many blocks should I put out for my cows? Always feed at a rate of one block for every fifteen to twenty-five head. Place a minimum of two blocks in each pasture near areas most frequented by cattle, such as watering locations, cross trails, shaded or loafing areas. 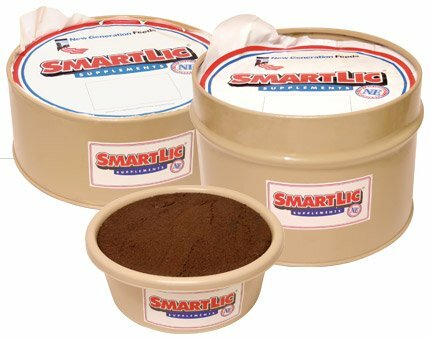 Can I feed SmartLic supplements year round? Yes! Most low moisture blocks have a tendency to get soft and sticky in the heat of spring and summer making it difficult to control correct nutrient intake and supplemental feed cost. The new patented process of SmartLic blocks make a unique, harder block that remains firmer even in the hottest, most humid weather conditions.